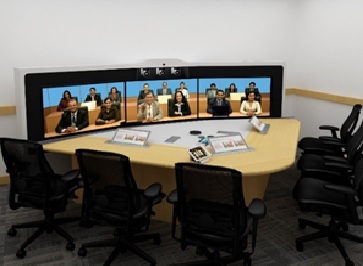 Make your video meetings 600% more immersive by seeing participants 6 times bigger. 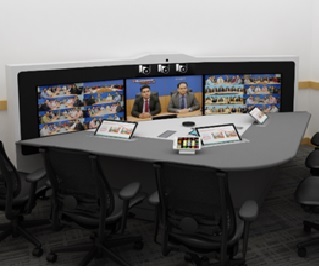 The ultimate superstar of ultra-immersive collaboration for the enterprise! 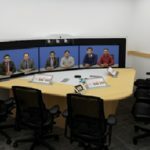 Also, a building block to get Dynamic TeleAllPresence which is better than face-to-face multiple location meetings & Multiple Continuous Presence for seeing a larger number of participants. 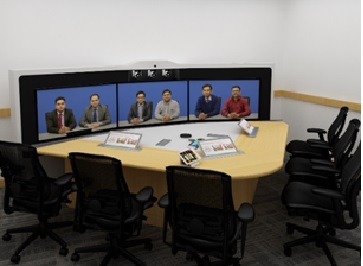 It is the upgraded CollaboratorSTAR-World’s first All-in-one Collaboration “In-a-Box” solution , further giving you an amazing group telepresence experience for 6-15 participants. 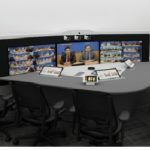 It is the universal building block of ultra-immersive video collaboration that can be implemented in practically every meeting room, executive cabin and even in open plan office spaces. 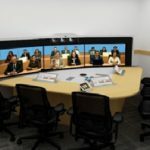 It allows your CEOs and leadership teams to conduct multi-location meetings, up to 48 locations and 720 participants together right from their own cabin in such a way that they see all the participants at all the time while seeing the current speaker life-size or see all the participants 6 times bigger than ordinary video conferences. Also provides 3 presentation share, compare & annotate capability for more well compared decision making. No of BOSPL AltraTouchContent 15.6T 3 Nos. 3 Nos. 3 Nos. No of BOSPL CableCILLIN with Magikswitch 2 Nos. 2 Nos. 2 Nos. No. of H.323 Video conferencing 3 Nos. 3 Nos. 4 Nos. CollaboratorSTARMAXTM serves as a powerful local collaboration tool. 3 separate contents can be shared on 3 different screens to enable share & compare critical data sheets with the local teams.